Breaking in pointe shoes is necessary, however, it is a very individual process. It is important to break them in correctly so that they mold properly to your feet. Using your foot strength and the heat created by wearing your pointe shoes is the best way to begin breaking them in. Slowly do rises, relevés and tendus at the barre, being conscious of working through your demi-pointe. Your shoes will begin molding to your feet and softening with your arch and demi-pointe. If you feel like you need more assistance breaking in your shoes, there are many manual techniques that can be used. The best thing to do is consult your ballet teacher if you think you need manual assistance breaking in your pointe shoes. It is imperative to have someone with experience do this in order to avoid snapping your shank, breaking in your shoe in the wrong places, or over-softening your box or shank. Breaking in your shoe incorrectly can prevent you from using proper technique and finding correct alignment. 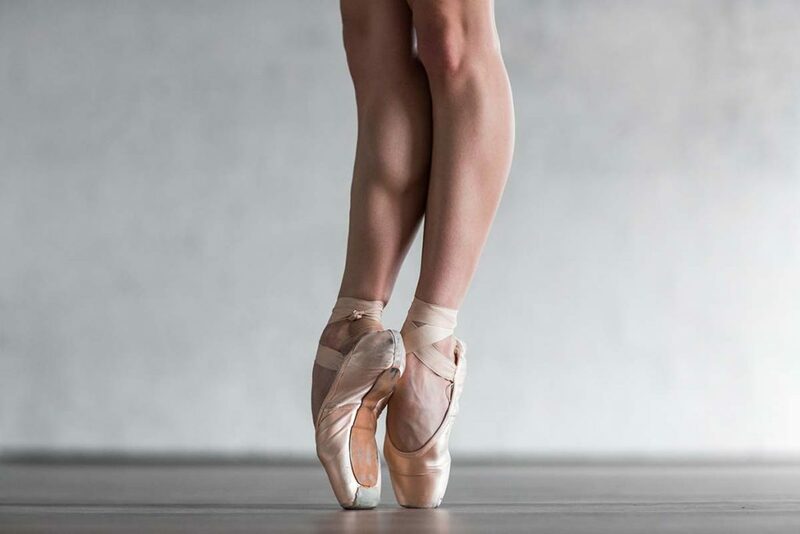 Never use aggressive techniques to break in your pointe shoes, like bending them in a door frame or putting water on the box. While you want some pliability in your shoe, using such techniques to break them in make it impossible to control the degree to which you are softening them.